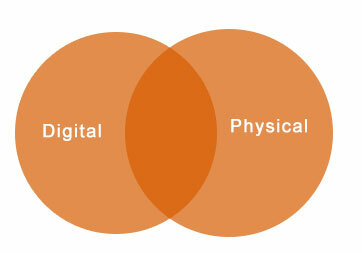 Line between the digital and physical experience is getting blurred gradually, and having disruptive impact across the industry. Technology like AI, Blockchain and IOT are staging new opportunities for companies to meet customer’s expectations. Marketing strategy has changed; companies are reading brain activities of the users and working on digital experience that imitate as physical experience. We rely on 5 senses of touch, taste, smell, sight and hear to let us know what’s happening around. For some people sense can get mixed. It’s neurological condition of mixed sensation called synesthesia. A person with synesthesia can see color of the sound. A color can cause them hear sound or a person can physically see the music as shape. This is called synesthesia blending of the senses or Synesthetic feedback for UX design. How Synesthetic feedback can be used in UX design? These subtle neurological loopholes are blurring the line between physical and digital experience. Hearing or reading a word can stimulate the different sensation of taste in a person. For example just imagine. A Mcdonald burger image brings its taste in mouth. A pop up of a sea image evoke the sensation of seashore and taste of coconut water. A picture of cappuccino brings an aroma of its divine taste in the mouth. A cursor moving towards unsubscribe link evoke the feel of fire and pain that stop user from unsubscribing. Synesthetic feedback is not far now, we can capture the brain activities using the Electroencephalography and find out the type of user emotion to understand what actually customer or user wants. Now, evoke the desire sensation in the user to buy the product or services by enhancing the user experience. Building 8, a Facebook research lab is working to decode this peculiar condition readable by user’s skin to enhance the user experience.